So, I&apos;ve set up a fun little bar that any of my holiday visitors can help themselves to. 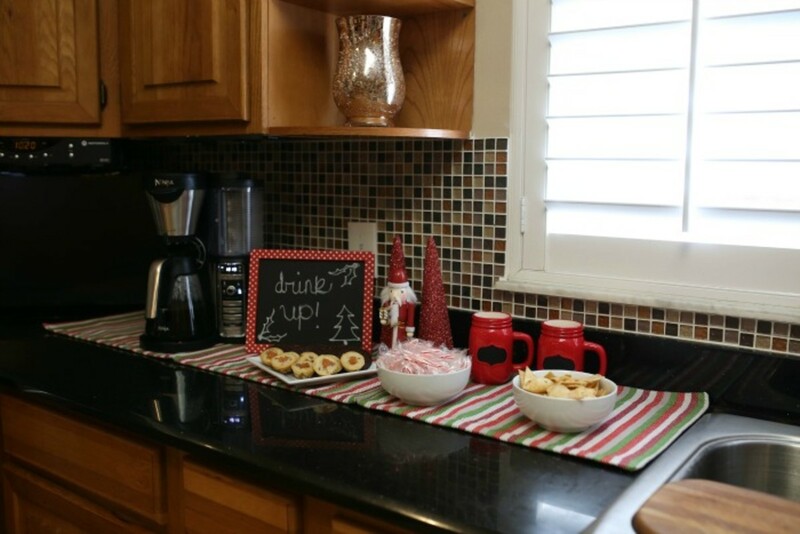 And it couldn&apos;t have been any easier to put together...I lined up festive placements in lieu of a runner and added some decorative accents like, cute coffee mugs, glittery trees, a nutcracker and a chalkboard sign. It&apos;s all in the details lovelies...And while it took nearly no time at all to throw this setup together, it certainly evokes a magical holiday feel. This year I&apos;m breaking in a brand new coffee maker. 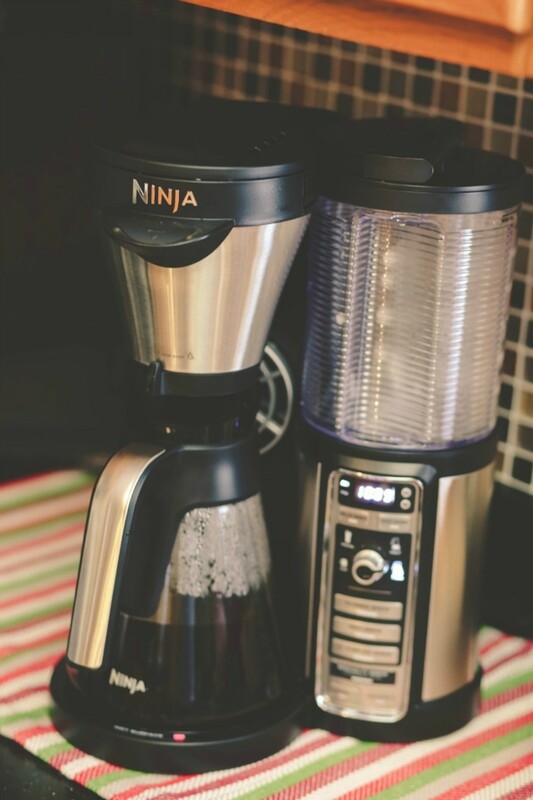 I can already tell that the Ninja Coffee Bar is going to get a LOT of use this season. This powerhouse machine does it all...I can whip up everything from a large carafe of Joe, to a single cup and even an iced concoction. I daresay my guests are going to love it as much as I do! 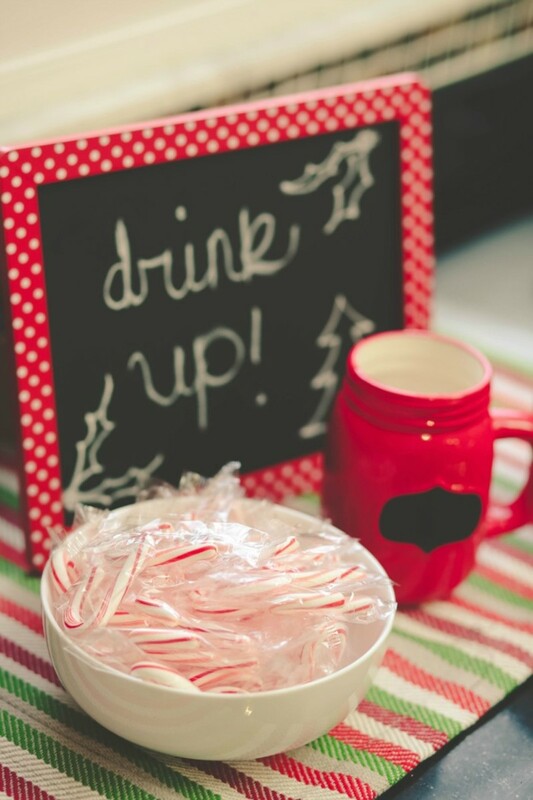 And where there is coffee...there are sweets. At least that&apos;s the way the cookie crumbles in my house. Haha! Even if I don&apos;t have time to bake up a storm, tasty store bought treats look just as pretty when presented right. 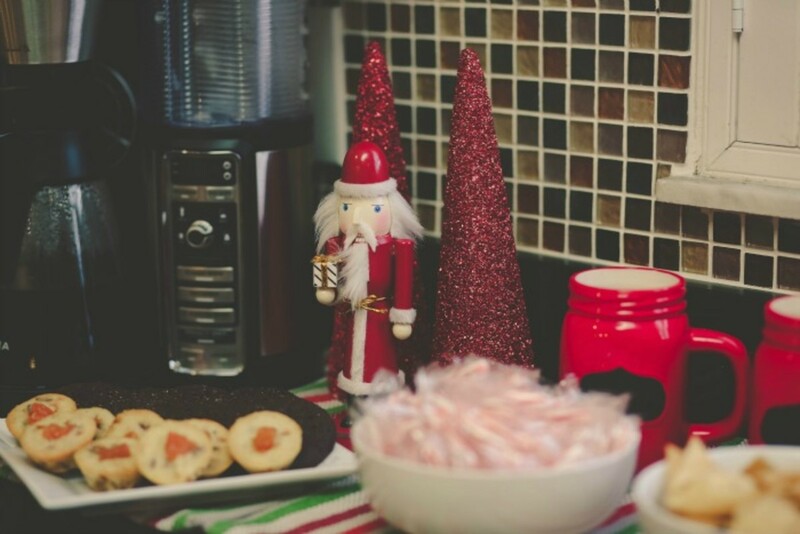 For this coffee bar, I served up Blondie Bars and Sparkling Chocolate Cookies from Matthews.1812.House (use discount code MOMTRENDS for 15% off site-wide through 12/31/15), along with mini candy canes (which I like to let melt in my coffee...no joke) and Primzie Dolce Caramel Thick Cut Crisbreads. You could also add a little area with creamers, sugar and whatnot...The sky&apos;s the limit. Happy holidays! Disclosure: This is not a sponsored post. We did receive samples for review.